"If market-timing is flipping silver dollars, then value and momentum timing is flipping quarters, quality timing is flipping dimes, and BAB timing is flipping nickels. And flipping coins probably isn’t a sustainable strategy." 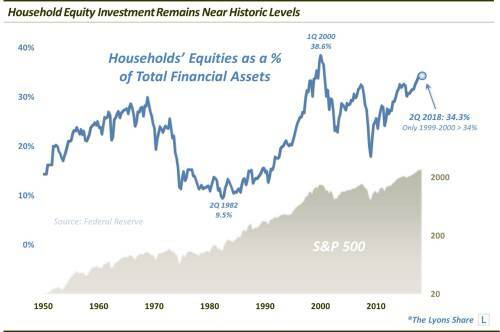 American households are holding an above average amount of equities as a percentage of financial assets.